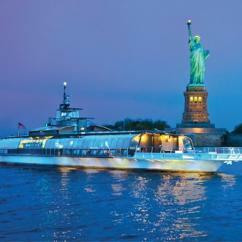 Enjoy marvelous view of Manhattan from the decks of remarkable New York scenic cruises! 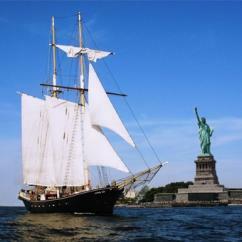 Navigate the waters of New York aboard a stunning sail boat, unique tall ship or luxury yacht. 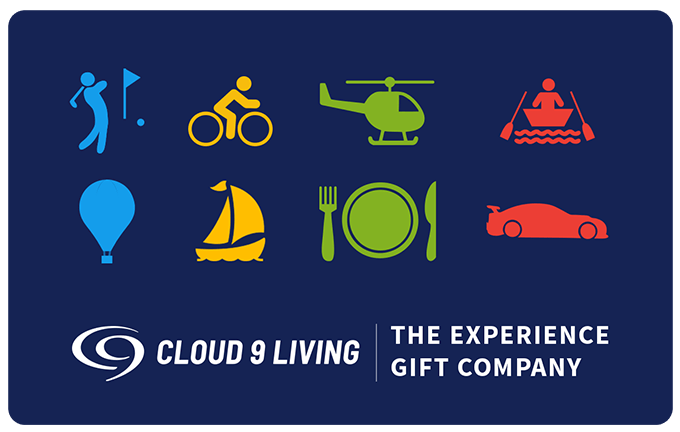 Cloud 9 Living's collection of NY cruises offer unbeatable ways to see city sights, enjoy remarkable entertainment, relax, wine and dine, or share in a romantic outing on the water. 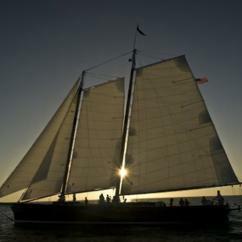 Delight in an entirely new perspective of famous sights, gliding along on an elegant, 1929 vintage sailboat. 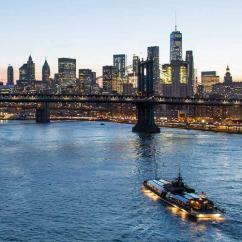 Gaze at the cityscape by day; or take to the deck at night, standing in awe of the Big Apple's dazzling lights. 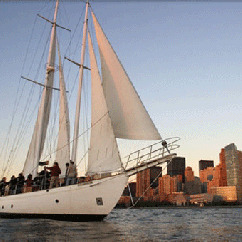 Add a tantalizing twist to the water with the New York Wine Tasting Sail. 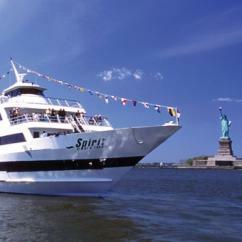 This exquisite NY harbor cruise introduces guests to a variety of wines, hand-picked from some of America's oldest and most renowned cellars, by experts eager to charm passengers' palates. 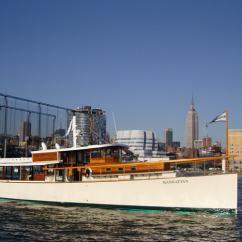 Or for a tasty, graceful NYC boat ride along the Hudson River, give the whiskey 'n' chocolate sampling sail a go! Prefer a bit of bubbly instead? 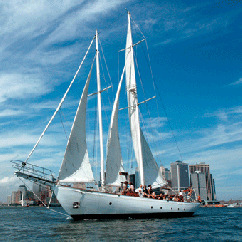 Check out the sailboat's champagne brunch cruise. 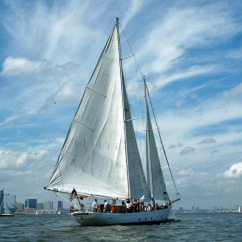 For New York scenic cruises on one of the most unique vessels in Big Apple waters, check out the excursions that the historic Clipper City, NYC's only tall ship, has to offer! 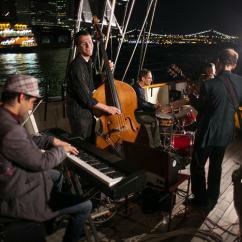 Sway to the rhythm of waves and tunes during a jazz sail. 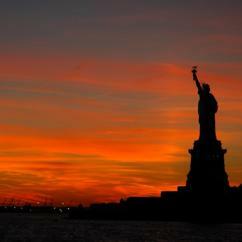 Learn fascinating histories about the city on a narrated NYC boat tour. 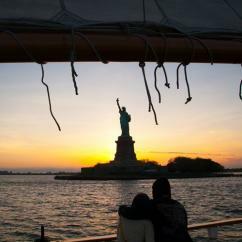 Try a beer tasting sail, or marvel at the warm glow behind the Statue of Liberty as the sun takes its leave behind a breathtaking silhouette of the Manhattan skyline on a NYC Sunset Cruise. 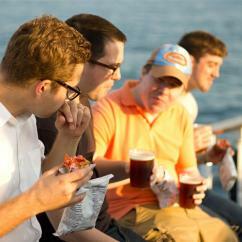 Or get lost in the dazzling ambiance of harbor lights on an evening sail; grab a drink from the ship's bar, sit back, relax and enjoy the tranquil scenery. Celebrate special occasions like birthdays and anniversaries, or do date night a bit differently — eat, drink and be merry out on the water. 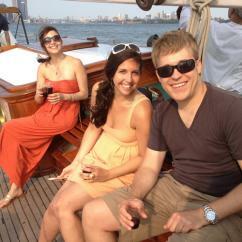 But don't expect just any ol' NYC boat ride from these outings! 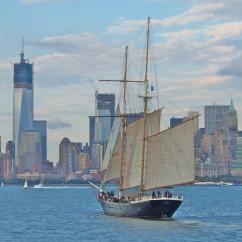 Board the America 2.0, a remarkable 105-foot schooner for a pairing of fabulous NYC views alongside beer and lobster. 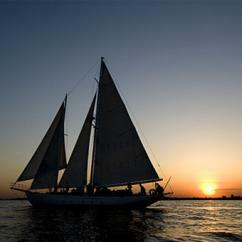 Or watch the sunset on a savory sushi and sake sail. 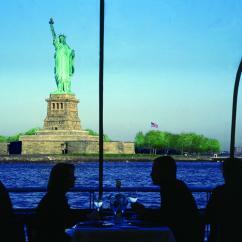 For fine dining options, check out scenic New York lunch cruises and dinner outings. Board a luxury yacht for spectacular views of the city, complete with light narration and plenty of deck space for strolling. 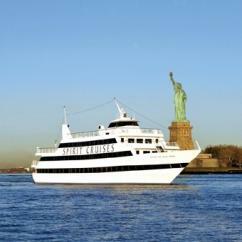 Indulge in delicious cuisine, either plated or buffet-style, depending on the selected cruise from NY. 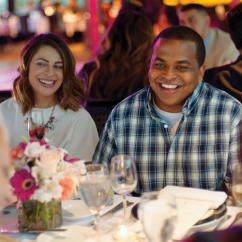 Stop by a cash bar to kick back; or head to the dance floor, where feet move to the beat of the ship's live or DJ musical entertainment. 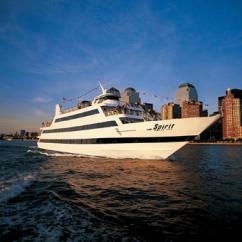 And the New York scenic cruises don't stop there! 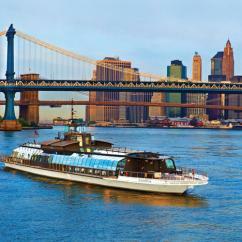 Take an architecture tour from the water. Make happy hour even happier out on the H2O. 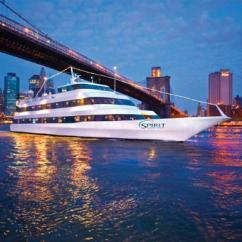 Throw a party on a NYC boat ride, instead of at landlocked venue. And much, much more!